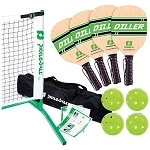 Expand the capabilities of your sports facility by offering a place to play Pickleball, a very popular game for all ages. 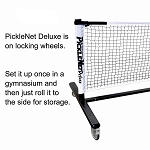 With a Pickleball portable net system from Tennis Court Supply, you can set up a Pickleball court anywhere without the need to devote a permanent space. 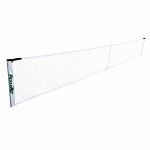 These versatile nets allow you to make use of extra space anywhere, such as in a gymnasium or even a rooftop. 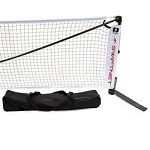 You could set up a temporary court for an event such as a visiting class or an exhibition to draw new attention to the game. 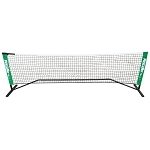 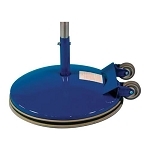 Our Pickleball portable systems are manufactured by Douglas and Gamma and built to the same high quality standards as all other products we carry. 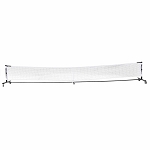 They are lightweight and easy to transport, and we also have net post system transporters for our Douglas portable Pickleball nets. 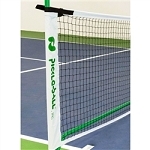 We even have a complete Pickleball tournament set for those who want to get started right away. 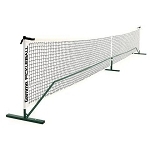 You are welcome to contact Tennis Court Supply with any questions you may have about our products.